It is an annual rite of passage for area basketball teams: the post-Thanksgiving basketball tournament. It is a week-long flurry of action, giving coaches, players, and fans an eyeful of what to expect from the long season. Most teams have two or fewer games in the books at that point, and some early-season predictions and expectations get “re-thunk” as results are digested. 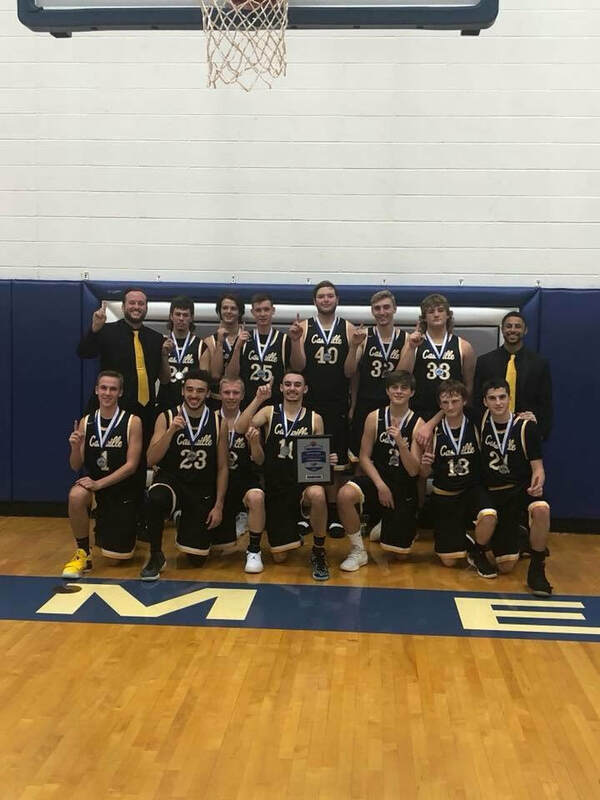 The Cassville Wildcats took a big step forward, winning the Marionville tournament in convincing fashion. The Wildcats downed Greenfield, Marionville, and Buffalo enroute to claiming the tournament title. The Lady Wildcats did not enjoy the same level of success in their annual trip to Blue Eye. The Cassville girls fell to Reeds Spring and Hollister on their way to a quick exit. The Southwest, Wheaton, and Purdy boys also struggled. The Trojans ended the week losing the seventh-place game at Marionville, Purdy dropped the seventh-place game at Pierce City, and Wheaton bowed out in the fifth-place game at Diamond. The Southwest and Purdy girls both lost in the consolation semifinals at Diamond. The Wildcat Boys Basketball team accepts their trophy, Front row (left to right): Kel Wilson, DJ White, Carson Whittemire, Ethan Hoppes, Brendan Seufert, Jake Thomas, Carson Roller, Back row (left to right): Coach Milleson, Dane Martin, Killian Barbee, Andrew Littlefield, Luke Lowery, Jarrod Wallace, Jaiden Reibert, Coach Donson.